There have been several examples of a perfect fusion between music and architecture, the most striking in recent memory being the work of the composer Iannis Xenakis (1922-2001). Injured whilst fighting against the Nazis during the Second World War, Xenakis was smuggled out of Athens by his father and sent to Paris, where he eventually found work in the office of the French architect Le Corbusier. Over the years in which he worked in his firm, learning composition through the night, Xenakis grew in stature from a structural engineer to a partner architect and was responsible for many of the company’s great architectural successes, such as the Philips Pavilion, commissioned by the electronics giant for the World Exposition in Brussels, 1958. 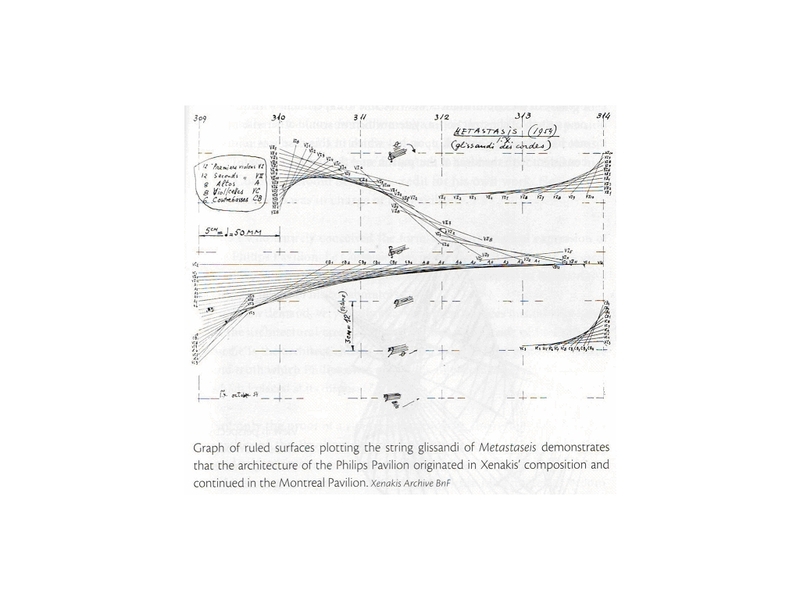 The designs of the Pavilion incorporate fundamental ideas from an area of mathematics that fascinated Xenakis and proved to be a rich seam of inspiration for his structural forms, both musical and architectural – the Stochastic principle, or his Theory of Probability. 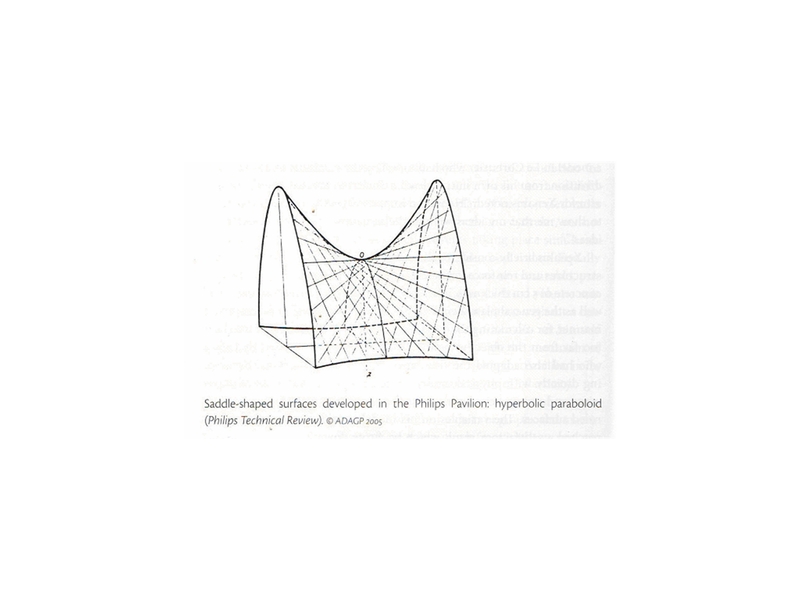 The Philips Pavilion was based on a geometric design that expresses this principle: the hyperbolic paraboloid. ‘Metastasis’ was a revolutionary work. Herman Scherchen, the conductor who gave its première, said of it that “In fact it does not come out of music at all, but from somewhere completely different.” Perhaps here he eludes to its mathematical foundations as source material, but this is not new in composition (ref. Bach or Pythagoras) simply that the mathematics in question were born in modernity. Xenakis’ work teaches us the cohesive power of strong governing precepts in artistic form, within and across disciplines. For an insight into those strong governing precepts as they exist in the world, we turn to the work of the Swiss scientist – Hans Jenny. 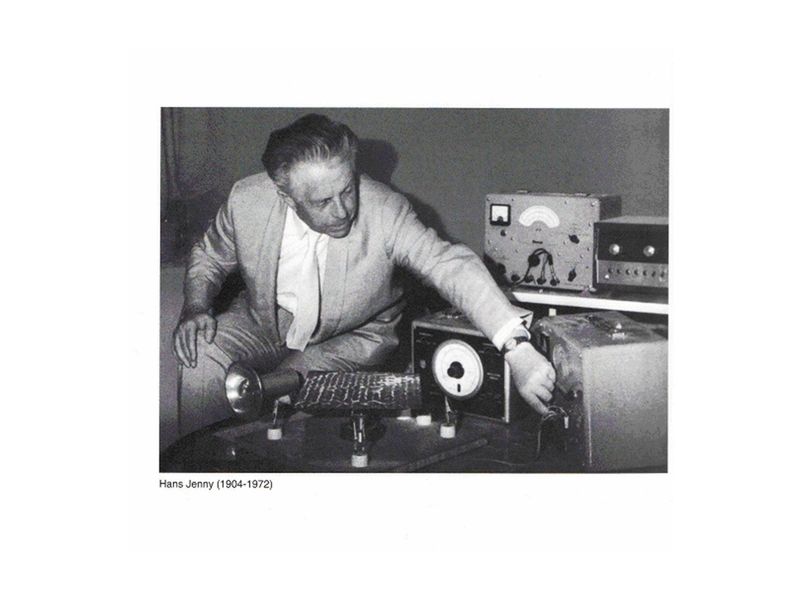 Hans Jenny may be described, as Xenakis was, as a Renaissance man. This refers to an era when education (for the minority) was considered in inter-weaving layers of knowledge, and emphasised, as Jenny constantly did, the importance of always trying to understand the whole, rather than its component parts in isolation; Jenny was a scientist, medical physician, linguist, musician, painter, ornithologist, philosopher and founder of a branch of physics that he named ‘Cymatics’. 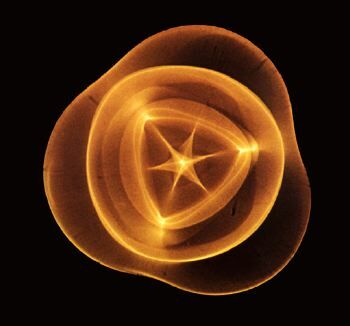 The name ‘cymatics’ comes from the Greek ta kymatika, meaning “pertaining to the waves,” and it is in essence the study of the physical effects of sound on matter. Although Jenny named the field himself, his work did not appear from nowhere, and can be seen as part of the wider field of acoustics as laid out by the German physicist E.F.P. Chladni (1756-1827). 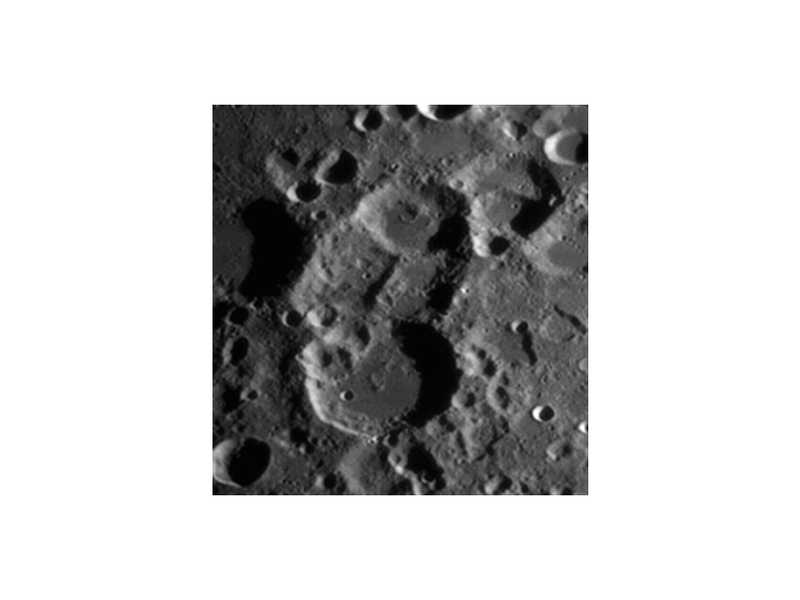 Chladni discovered the images that are now named after him whilst investigating Lichtenberg figures, themselves named after their discoverer, the German scientist Georg Christoph Lichtenberg (1742 –1799). By stroking metal plates sprinkled with powder with a violin bow, Chladni made the vibration processes visible, and was the first to witness the sonorous figures to which he gave his name. Jenny himself would have been the first to point out that Chladni was in many ways continuing a line of thought that stretched back to the Greek philosopher Pythagoras and the Flux Theory of Heraclitus. I include this rather oblique reference to Heraclitus simply because the image strikes me as so similar to the images that I have found in Jenny’s research, particularly the experiments with lycopodium powder. 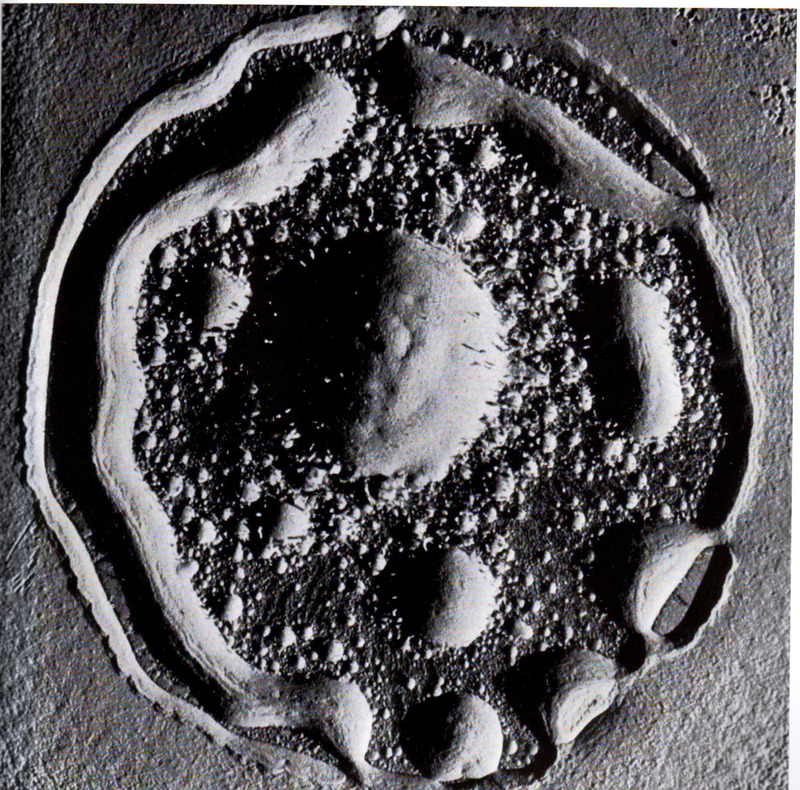 These images are taken from Jenny’s seminal text, called ‘Cymatics’. Figure 84 shows what happens to a surface layer of lycopodium powder on a paper diaphragm excited by a single tone at a frequency of 50 cps. Figure 85 shows the same experiment, but with a frequency of 300 cps. As Jenny points out, with a higher frequency, the pattern is of a more delicate character. 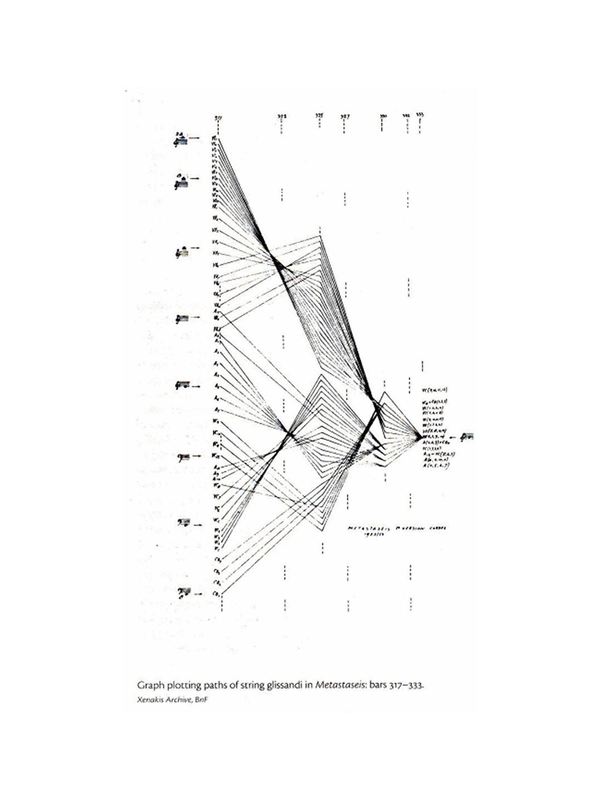 With the use of modern technology that was able to refine this process and accurately document it, Jenny picked up the trail from where Chladni had left off, and discovered that the recurring patterns that could be made visible were dependant on strict controllable factors, such as frequency and amplitude of the exciting tone, materials (of the excited substance and the diaphragm or plate on which it is placed) and the shape of the plate itself. Under strictly controlled laboratory conditions, Jenny manipulated each of these parameters in turn, producing experiments with quite amazing results. He discovered that changing single parameters whilst the others remain constant yielded visible subsets, or groups of images that show clear relationships to one another. 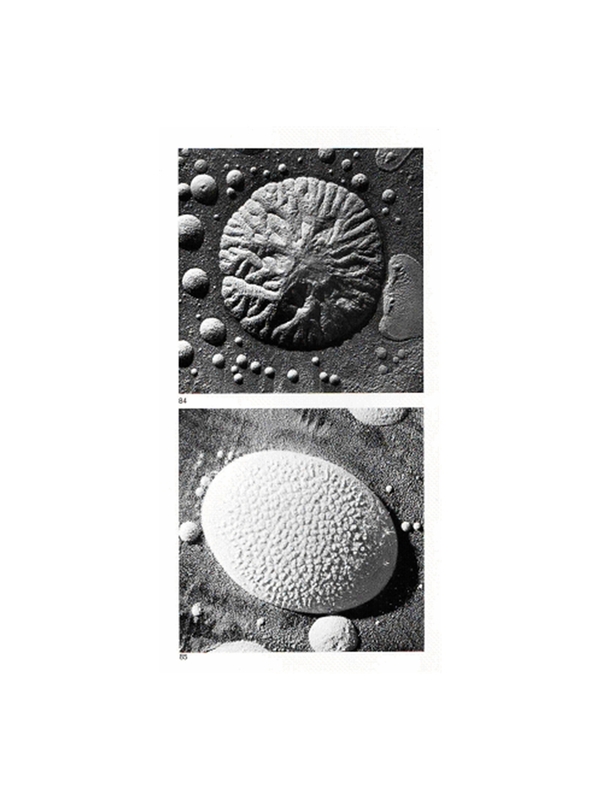 Jenny used a wide variety of different materials in his research, including glass, copper, wood, steel, cardboard and ceramics for the plates, on which he measured the movements of lycopodium powder and quartz sand. He also performed a series of experiments with liquid glycerin in water and light refracted in a single drop of water containing fine particles that reflect the light source, in a series of experiments that yielded his most famous images. vibrate by a tone acting upon a diaphragm. The result is a continuous formal pattern. actually consists of 2 opposed hexagonal elements. 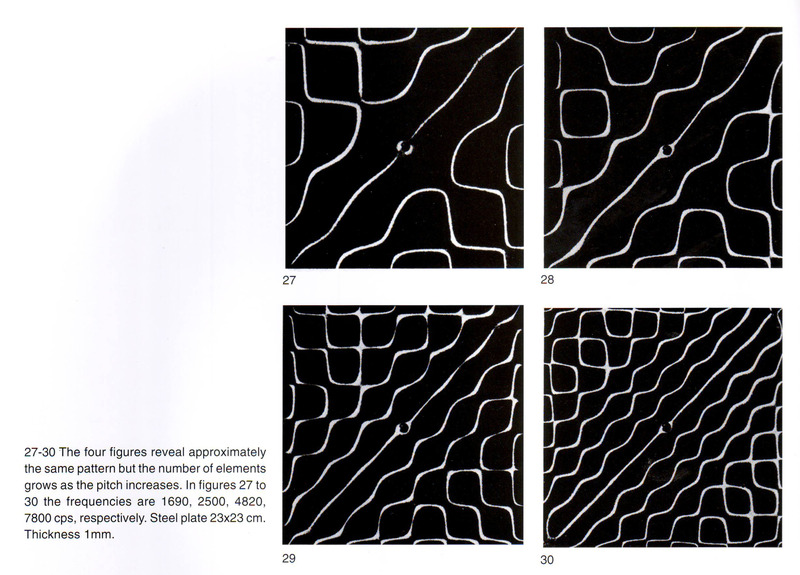 With reference to this last image, Jenny makes the point that “Still images empashise the structure or form of the figure, which, in actuality, is in constant dynamic motion, oscillating from one phase to the next. 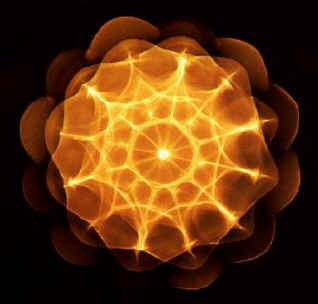 This image clearly portrays a harmonic quality in terms of number, proportion, form, centering and symmetry. 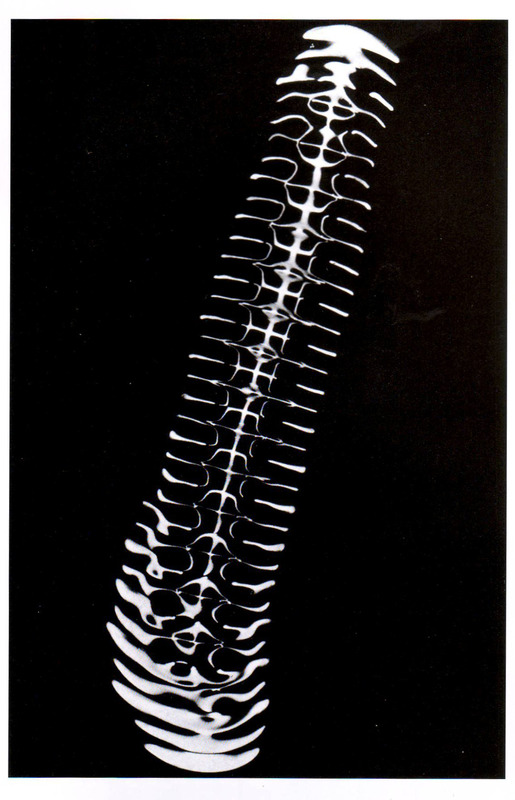 This quality is also apparent in its dynamics, pulsations, transformations and polarities.” This could be an excerpt from an essay by a painter, a composer, or a choreographer… there is an essential understanding of form in his conception of science that speaks immediately to the artist, as a vehicle for understanding the expression of nature. Jenny explains these three aspects of cymatic phenomenon in terms of their ‘triadic’ relationship to one another. The Triadic concept is his unifying philosophical precept. The essence of it lies in the three component parts to the manifestation of the forms that he witnessed: figure, movement and period. He goes on to explain “The three fields – the periodic as the fundamental field with the two poles of figure and dynamics – invariably appear as one. They are inconceivable without each another. We cannot therefore number them one, two, three, but can only say they are threefold in appearance and yet unitary; that they appear as one and yet are threefold.” What he means by this is that in each pattern created in the various permutations of his experiments with vibrations, these aspects are simultaneously expressed. All of the patterns display a periodic nature. The waves themselves, which are acting on the materials, can be measured in terms of their periodicity; therefore it stands to reason that this is expressed in their action on matter. 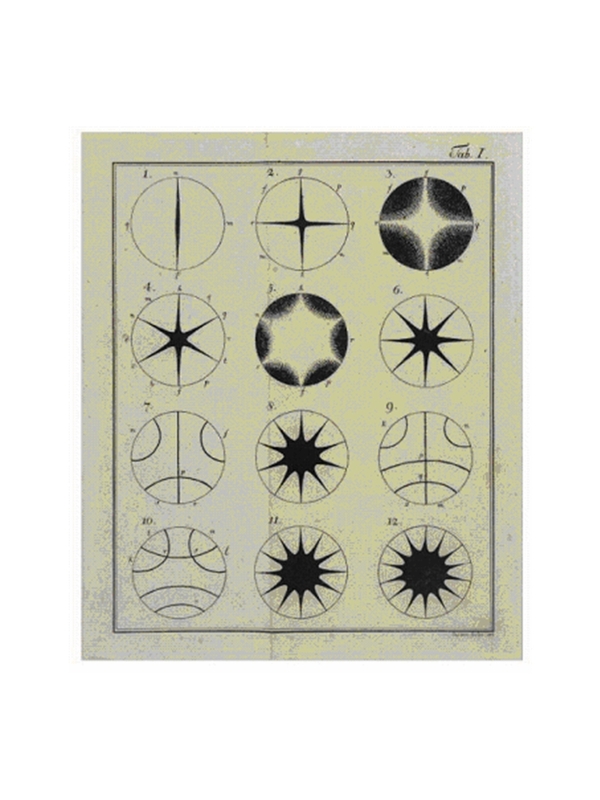 Jenny constantly makes the point that in order to develop a comprehensive understanding of cymatics, one must build up ‘experiential knowledge of the field’, and we believe that this pertains to the necessity to witness the moving images in real time. In video footage of his experiments, both from his original films and subsequent research, the flux patterns can be clearly seen, some of the experiments use coloured grains in order to witness this aspect of the phenomenon more clearly. 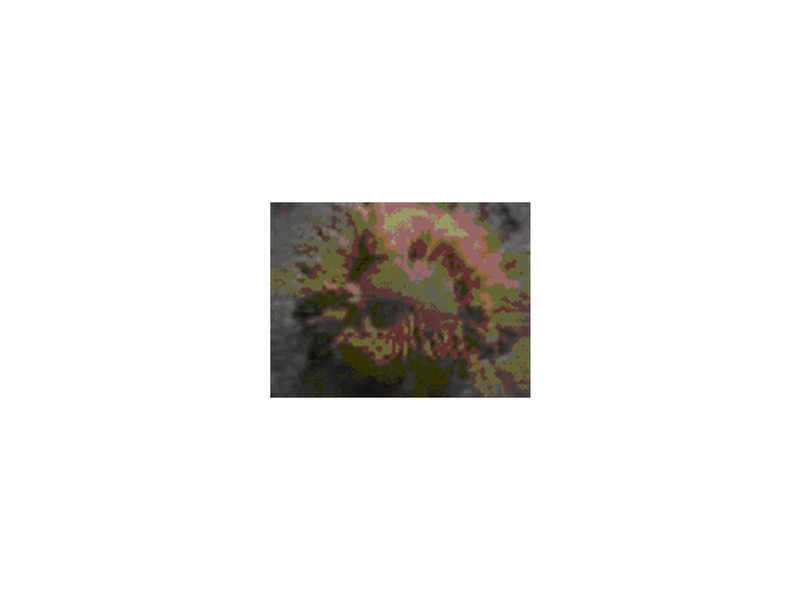 Within this ‘fundamental field’ of periodicity, the patterns also contain figurative elements, expressed in clearly discernible formal elements and symbolic imagery, and a dynamic element, expressed by the constant movements of the materials whilst under the influence of vibration. The motion in the video shows a clear axial rotation, like the blade of a helicopter, which rotates clockwise at certain frequencies and anti-clockwise at others. This is a good illustration of the dynamic principle at work within the phenomenal triad. The triadic concept very clearly delineates a working structure for the creation of new work; indeed we, as artists, believe that the necessity of “formulating concepts with which to press towards comprehension of the actual realities” demands expression of this concept in new artistic form.